A consortium of individuals and organizations dedicated to bringing Shakespeare and his culture to the Internet and beyond. 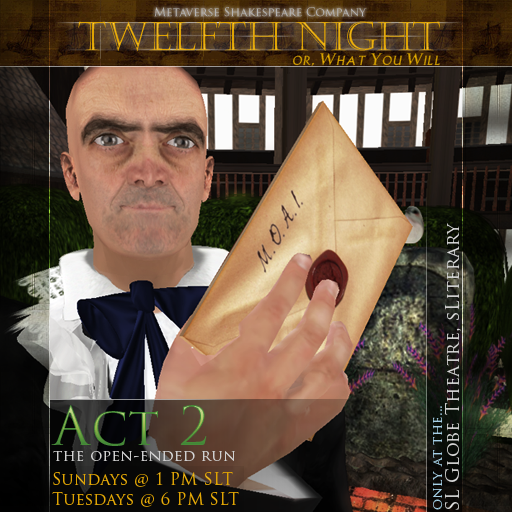 The Virtual Shakespeare Initiative challenges participants to bring Shakespeare to virtual worlds. Welcome to the vSC! The Virtual Shakespeare Consortium is a consortium of individuals and organizations dedicated to bringing Shakespeare and his culture to the Internet and beyond. While not required, Consortium members are encouraged to share resources and insights from their own experiences and projects. Those who are not active in a project, and wish to merely observe are also welcome. The newly launched Virtual Shakespeare Initiative challenges participants to bring Shakespeare to virtual worlds. Want to be part of the next GREAT British movie? Started by John McDonald in General Feb 17, 2010. Started by ina centaur in Virtual Productions and Similar Projects based on the Bard's Works. Last reply by ina centaur Jan 18, 2010. Started by ina centaur in ODR - On-Demand Run Timing Bids. Last reply by ina centaur Oct 13, 2009. Classical Comics graphic novel versions of Romeo & Juliet and The Tempest are now out!